When I started i2Flex I could not imagine how excited this would make me feel and how it would change my teaching philosophy! According our school’s mission, we always challenge our students to best use their own potential by becoming the architects of their own learning. Introducing i2Flex in my French IB year 1 and 2 Standard / Higher level class, with 4 different levels, learning has changed from reception of knowledge and interaction to active engagement in the process of learning. The introduction of i2Flex gives me the opportunity to offer a more efficient, better organized and much more motivating way of teaching and provides my students with high quality student-centered, individual teaching. Incorporating this new technological method in my classroom, my teaching approach changed and my teaching strategies have been updated in order to plan and deliver knowledge differently. i2Flex helps me to solve problems that often appear in multi-level classes. First of all, multi-level students have become more engaged and the blended course provides innovative ways of learning at home by increasing new educational opportunities for students, especially those who do not feel comfortable with the language. It also gives the flexibility to students to work at different times and complete their work at any hour of the day seven days per week. Teaching has become more complex and much more demanding and full professional commitment is required since the learning environment is not only the classroom but the real world! The virtual office hours arranged by appointment through ACS Athens gmail offers my students more learning flexibility, an innovative way of communication and engages them to take responsibility. As an educator, I strongly believe that i2Flex is an effective integration of technology which stimulates students to attempt more complex tasks and material. i2Flex students are moving away from passive reception of information to build their own learning. Teaching has also moved from textbooks to multiple representations and expressions. There is also a very challenging shift, from teaching in a classroom to having students and teacher engaged in a new creative and demanding way of learning no matter the day or the time. The real world comes closer and teaching becomes a non-stop learning process which for me -as I lifelong learner- is a source of inspiration! 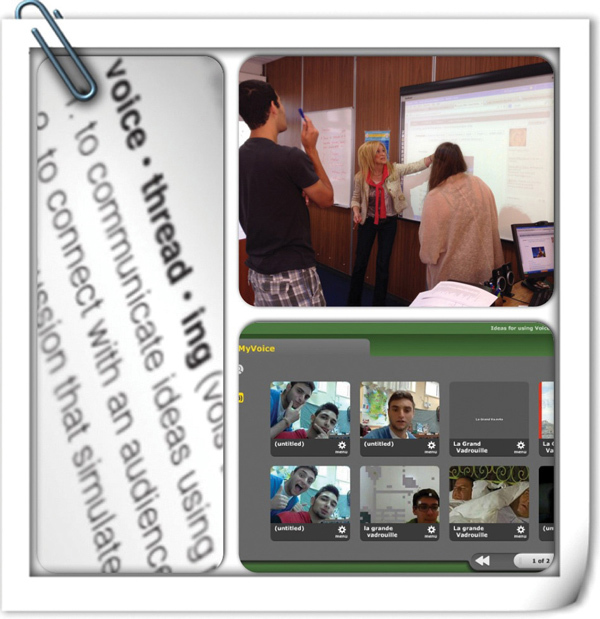 Finally, new social software - such as Voicethread- are used in order to make teaching more attractive, direct and friendly to students and in this way, teaching now better meets the individual educational requirements that our students need for their future!